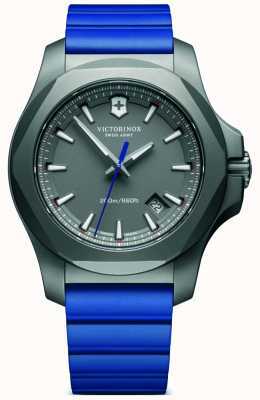 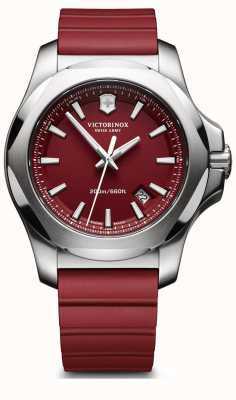 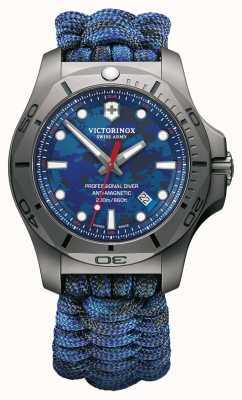 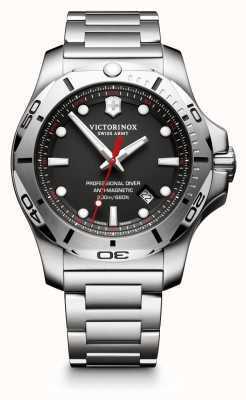 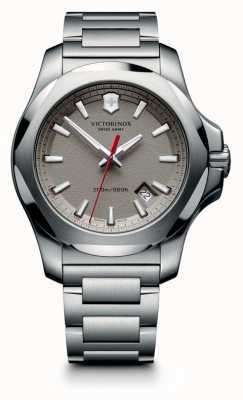 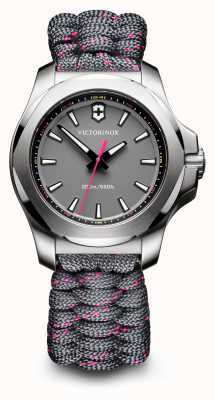 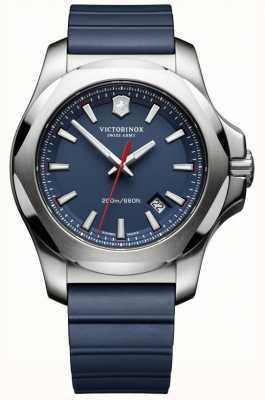 Diving watches always look fine, but this Victorinox takes styling to another level with a truly beautiful exterior. 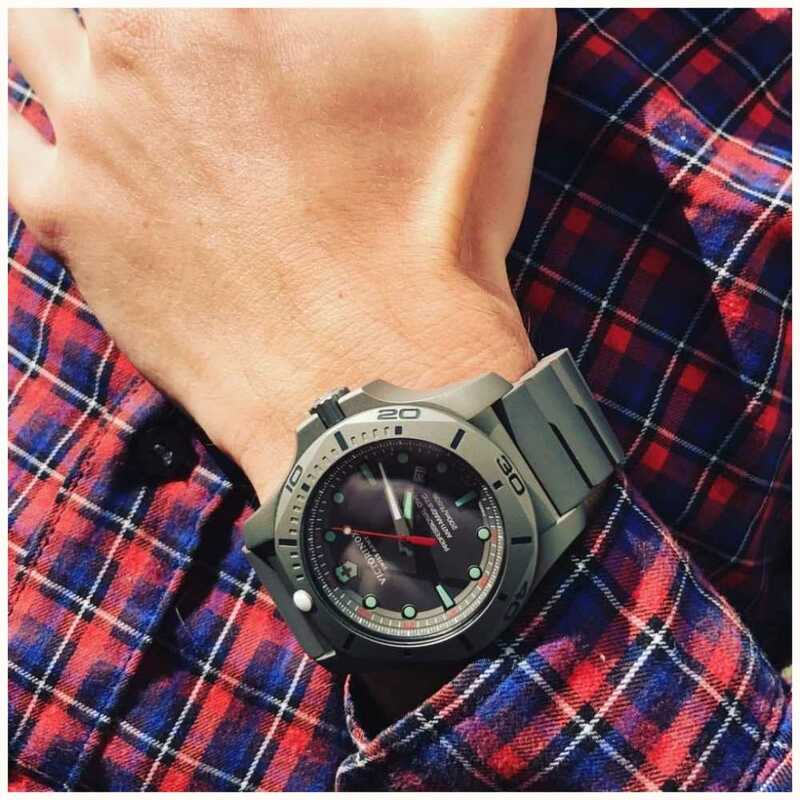 Not only is the angular case easy on the eye, but the sophisticated grey shimmer results from the Titanium which is used to craft it from, giving lightweight durability and comfort. 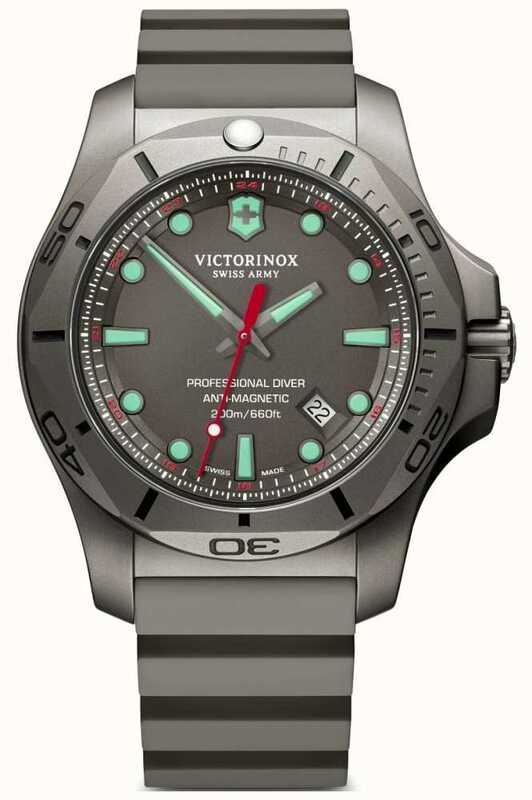 Mint glowing hour-markers and hands are a perfect compliment to the grey tone and the athletic rubber strap matches perfectly. 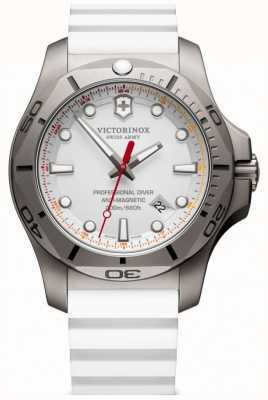 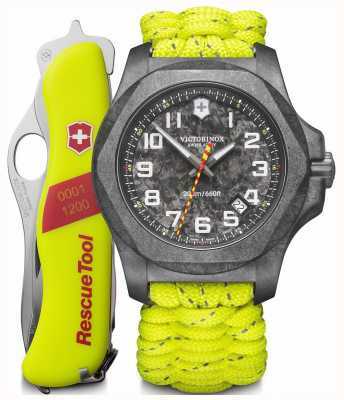 Features date display, 200m water-resistance.